There are two handbag philosophies: You either rotate clutches and crossbodies with ease, jazzing up your go-to looks in countless ways, or you require one go-to bag that works with any (and every) look. Should you preach the latter view, well, the suggestion of moving around your wallet, keys, and emergency lip balm on a daily basis probably just seems like a surefire way to end up with no less than six MetroCards. Therein usually lies the difficulty with writing a story claiming to short-list 10 perfect handbags—but we’re living in a very special time, my friends. It’s called spring/summer 2018, and the statement pieces in question are, for once, perfectly aligned with timeless style. At first glance, one of the biggest S/S 18 trend stories barely appears to be a trend at all, but the effortless boho-couture neutrals that came down the runways in September were anything but accidental. That’s good news for you if your relationship with the bags in your current rotation can best be described as “it’s complicated”—the options we’re lining up today were built to last and last. Behold the fringing, the statement wristlets, and the elevated-neutral color palette already applied to my Williamsburg apartment in hopes of achieving total Scandi-cool zen. Behold the quality leather that’s only going to get better with age, and the clean silhouettes that never go out of style. Behold 10 perfectly on-trend yet perfectly timeless Hobo bags worth committing to. This low-slung saddlebag is the ultimate in luxe ’70s vibes—put it down to statement stitching and the rich yet fresh vintage color. I’m also very into this particular shade of blue, especially worn with creamy wide-leg pants and vintage-vibe gold jewelry. Losing sleep over the full-blown romance of this statement wristlet. I double-dare you to show me an outfit this shouldn’t be carried with. Speaking of statement wristlets, I really like oversize leather handles. There’s something super satisfying about holding them, which I know is a strange to say, but it’s so true I needed to write it here. Are you a person who actually needs to carry things bigger than a credit card in your bag? I personally still use an actual day planner like it’s 1995, plus I like to have my New Yorker with me at all times in hopes I might actually read it before the next one arrives. Which is to say: I feel you, and so does this shoulder bag. Considering my dream movie wardrobe is early ’00s Kate Hudson in Almost Famous, this fringed crossbody really speaks to me. It actually comes in a handful of great neutral colorways, but the black option gives the boho feel a hint of both edge and sophistication, and that’s the kind of complexity I like. If the Lauren were a novel, it would be on the New York Times best-seller list. More than a million of these wallet-clutch hybrids have been sold, and this fresh white iteration is spring style in a nutshell. You know when you find that clever little crossbody that somehow fits all of your things and people actually ask you how you get so much in your bag? This is that bag. 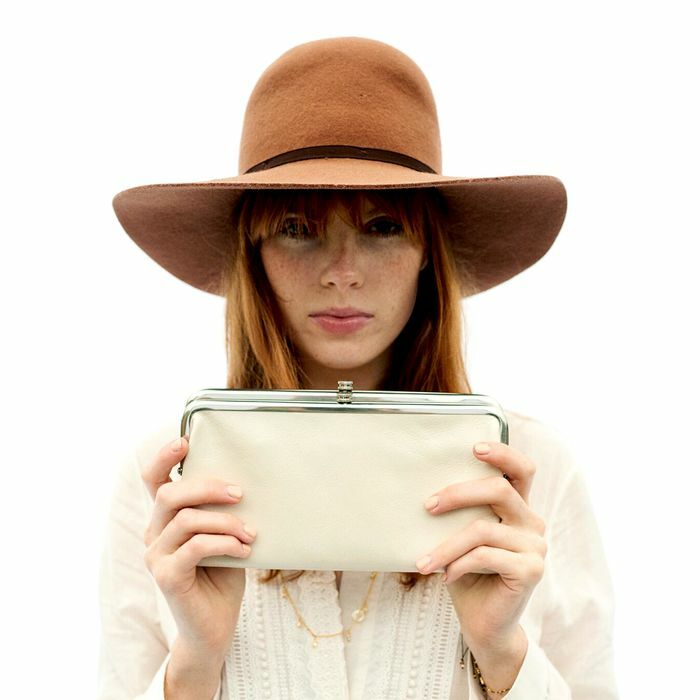 This boxy crossbody is getting a lot of attention at our office. Side note: I would also like some boots in this exact leather. And an ottoman. Stylish backpacks are not easy to find, so bookmark this one. It can handle your commute and your festival style.